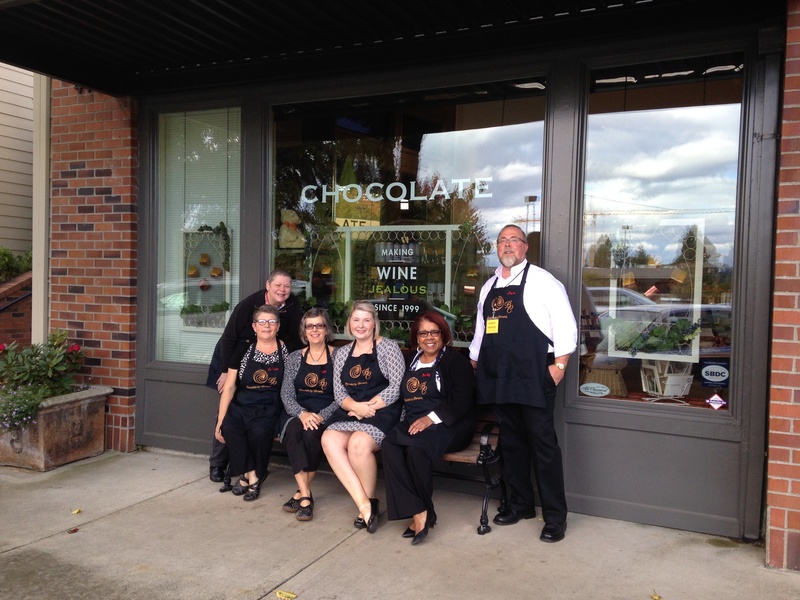 La Quita Corbet Martin found success in her business Chocolates by Bernard Lake Oswego with the help of PCC's Small Business Development Center. Here is her story. Chocolates by Bernard is a retailer of handcrafted, sustainable chocolates based out of Calgary, Alberta, Canada. We are expert manufacturers and retailers of award-winning confectionery. Our products are available exclusively though our network of 30 retail stores across Canada and the United States. Our four master chocolatiers collectively have over 100 years' experience working with chocolate as experts. And two of those four have been personally handcrafting and supervising the production of our classic collection - one that still today reflects a Belgian tradition - for more than 57 continuous years! Our chocolatiers together with the rest of the Cococo team also proudly source the finest natural ingredients and curate the best possible couverture chocolate for use in all recipes. We use unique blends, formulated for us exclusively, and make no short cuts - ever. We love our work and love sharing it with others. We ship chocolates throughout the United States via Fedex or the Postal System, including to post office boxes, A.P.O. and F.P.O. locations. I had absolutely no business experience, so I needed any help I could get! Now I am experiencing new customers on a daily basis and feeling more comfortable with the seasonal cycles. I received a financial review prior to purchasing the store from it's previous owner. I get on-going business advising throughout my personal learning curve. I participated in a dynamic Marketing program which allowed me to meet and collaborate with other SBDC clients. I find great value in local businesses working together to enhance our endeavors. The Growthwheel tools used in classes and advising have provided a framework to keep me focused and to prioritize my work. Since I started working with the SBDC I have updated and documented processes and am continually taking action steps toward achieving my corporate goals -- i.e. marketing solutions, new equipment and developing better systems to more efficiently do my work. Challenge yourself and your beliefs whether as a new or existing business owner!